Our group adventures and summer camps provide, fun and immersive outdoor adventure experiences designed to help children and young adults connect with the outdoors. 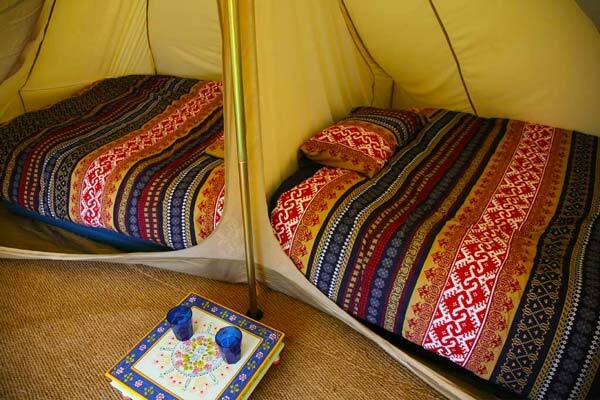 Our canvas bell tents and woodland lodges provide comfortable accommodation set in natural woodland in South East England. All camps include activities, meals, evening activities, experienced instructors and free leader places. Build your own itinerary of activities including bushcraft, team-building, archery, kayaking, climbing, crate stacking and lots more! Our canvas bell tented village set in natural woodland provides the ideal setting for an outdoor adventure summer camp. We can build an age-specific fun and adventurous holiday camp programme to suit your requirements, and we welcome groups throughout the school Easter and Summer holidays. Our fun and adventurous holiday camps offer groups of children and young adults a unique opportunity to connect with the outdoors through a combination of bushcraft skills building sessions and outdoor adventurous activities. Choosing a Wildchild Adventure residential trip means you can trust us to develop and run a bespoke activity programme for your group, leaving you free to enjoy the trip without the hassle of organising accommodation, activities and equipment. There is no minimum stay requirement so your adventure could be anything from a 2-day/ weekend stay, to a week long adventure. Our experienced staff can work with you and your group to recommend the perfect activity programme for your planned adventure. We will develop an itinerary taking into account your numbers, age ranges and objectives i.e. are you looking to offer specific outdoor activities, build skills, improve teamwork or a combination. Our tailored quotation is offered as a free no obligation service and we would be happy to discuss your trip with you at any time. Our easily accessible location, close proximity to London, all-inclusive and varied activity programmes and value for money experiences make Wildchild Adventure trips ideal for international visitors. The immersive nature of our trips gives overseas visitors the opportunity to build on their language and communication skills in a real, natural outdoor UK environment. Wildchild staff are fully trained, experienced and CRB checked. There will be staff on site running activities and taking responsibility for the children throughout their stay including full evening activity programme. We provide everything you need for your group’s stay to ensure children and leaders can enjoy the whole experience and gain as much as possible from the trip. We offer one free leader place for every 10 participants. Our Hertfordshire and Surrey adventure centres have been chosen for their fantastic woodland setting combined with excellent facilities, conveniently located within easy reach of the M25 and M1. Young people have the space they need to explore and enjoy their natural surroundings, while also experiencing the excellent outdoor adventure facilities on site. Groups can enjoy either the authentic under canvas camping experience, our cosy woodland lodges, or our unique and stylish glamping pods, complete with underfloor heating. Whatever you choose, you’re guaranteed a good night’s sleep in a great location. 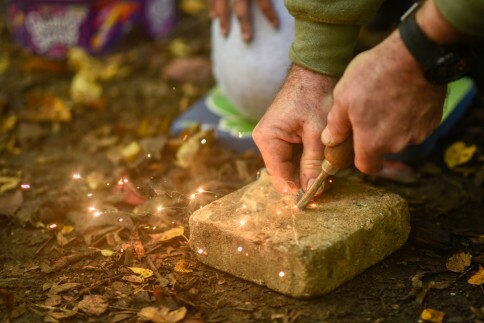 Starting at just £89 for a weekend one-night / 2 day bushcraft programme our Residential summer camps and trips for groups offer great value for money. Itineraries are all inclusive of activities, accommodation, free leader places and all meals. We also provide plenty of support and information for participants, providing all the information they need to help them prepare for their trip. "We cannot fault the professionalism, skill and enthusiasm of the staff. Every single member of the team worked very hard and we could not ask for more. They have the right balance of respect, discipline and keeping the fun element for the children." "We had a brilliant three days – a real highlight of the year for children and adults! One teacher summed it up as “the highlight of my career”. The children loved it and are already excited about the next trip""
"The trip met our objectives and surpassed them. It gets better every year. We love the instructors as they are awesome role models." "A fabulously engaging and inspiring visit for our children who would not get to experience these activities elsewhere." "We were impressed with the practical nature of tasks rather than all about thrill-seeking. We loved the relaxed nature of our time, smooth transitions and patient, caring staff"
"Wildchild’s ethos matches our own – teamwork, challenge and encouragement to face difficulties."